The relationship between the mining sector and the Australian government has been traditionally that of complicity and acceptance. Touch this sector at your peril. Changes in prime ministers, rumbles in cabinet, and the overall show have suggested the influence had by the fossil fuel lobby in the market place. Even by these standards, Adani Mining has done well for itself. The placation and encouragement of this famed abuser of the environment has been stunning. Australian politicians at the state and commonwealth level have marched to its tune for some years now, seeing it as a blessed provider in the development stakes. Whatever ends up on the desk in Canberra on this subject, rest assured that this mining monster will receive an endorsement. The previous Newman government in Queensland waxed lyrical about the tentacle-like entity and its efforts to establish what would be the largest coal mine in the southern hemisphere, located in the state’s Galilee Basin. The first hurdle was the Queensland government and the need to secure the status of being a “suitable operator” under the Environmental Protection Act 1994 (Qld). It was obtained without a single hiccup. The cost of the Carmichael mine was intially projected to be $16.5 billion, featuring six open cut mines and five underground mines. 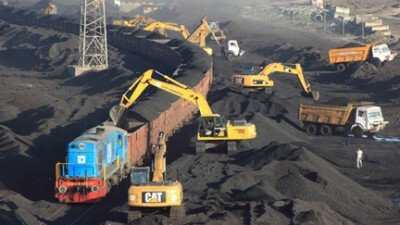 Over sixty years, the mine is expected to export in the order of 60 million tonnes of thermal coal per annum. A broader strategic vision with Indian energy is also envisaged, in so far as the mine system will supply coal to generate energy for up to a hundred million people. Adani’s arguments have ranged across the environmental, logistical and bank book. There were doubts from the start that this ongoing concern would be a costly, and unsustainable venture for both banker and environmentalist. The retort from the company personnel was that all was in order, with the company owning all the links in the chain “from pit to port”. Then come the promises of employment glory and job creation, suggesting that the company was actually owed a break; consider the forecast of 10,000 direct and indirect jobs, with the creation of 2,500 to 3,000 full time jobs. Ever at the ready, environmental groups have been onto that figure, arguing that a more humble 1,500 was a better approximation. Turning a blind eye has since become a matter of state policy. “The Queensland and Federal governments,” claimed Wangan and Jagalingou Traditional Owners Council spokesperson Adrian Burragubba, “knowingly overlooked that we stand in the way of this mine and when we say ‘no’ we mean no. Through our legal actions we are intent on stopping this massive and destructive project from moving forward.” This is an entity proposing to dredge 1.1 million cubic metres of spoil in proximity of the Great Barrier Reef Marine Park. Mindful that the hair splitters would be out in force to suggest that an Indian operation conducted by a branch of the company would not necessarily tarnish an operation in Australia, the authors also noted that Adani Mining Pty Ltd was “a wholly owned subsidiary in the Adani group, and is inextricably linked to the group’s integrated operations.” Operations conducted by different members within the same group were not distinguished. The head of the entire group remains Chairman Gautam Adani, who sees Australia as the true fossil fuel frontier rich with goods. He has sought to be pampered by government, yet another example of how poor business will still be backed even by governments believing in the free market. He has sought, and been promised $1 billion, to build the rail line from the Galilee Basin to the Queensland coast. Federal minister Matt Canavan verged on the imbecilic, suggesting that Adani’s arrival in Townsville was the “biggest news for North Queensland since the Beatles came to Australia”. Proportion and awareness have been pure casualties in this fossil fuel scrap. The Adani group, in short, is a sullied one. Its pedigree as an environmental vandal is unquestioned. Its operating practices have retained an air of supposed and actual impropriety. What it hopes here is that the Australian base of operations will have a sanitising sense to it, while feeding that long held sense in the country that plunderers are to be cherished. The fossil fuel industry, in short, remains dirty in more ways than one.